The Economic Times has two interesting pieces: one, on how use of databases for schemes like Direct Cash Transfer can go haywire and two, on class profiles of the MBA classes at the IIMs and the Ivy League colleges, like HBS. For example, engineers make up 90% of the class at the IIMs while just 36% of the class at Harvard Business School are engineers. 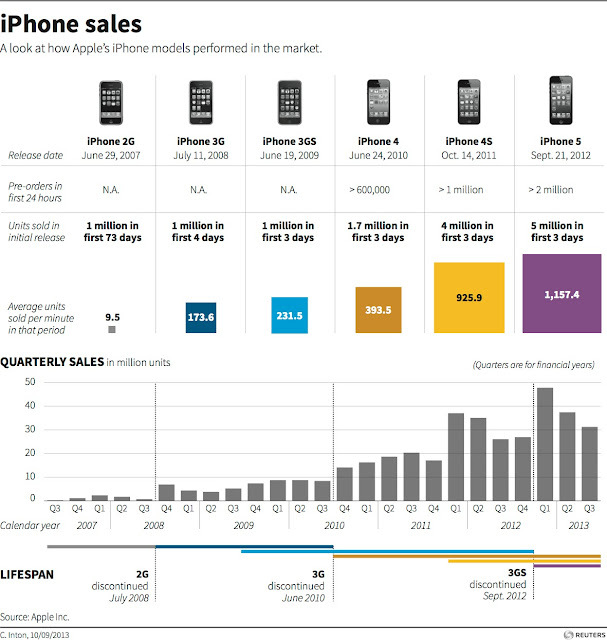 Also, check out this Reuters Blog infographic on iPhone sales over the years, with its different models.